September 18, 2012 by Meg G.
There is simply nothing like the crispy thin crust of a Fed’s pie. We love to make pizza at home, but let’s be honest, I just did not get the pizza dough gene. I’ve made my own before, but it’s just never thin enough (and I’m not lucky enough to know the secret family recipe/technique). 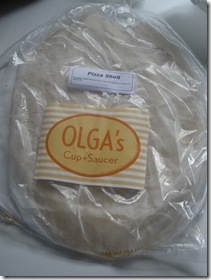 So, when I stumbled upon these pre-made pizza crusts made by Olga’s Cup + Saucer in Providence, I was pretty pumped. Olga’s is a great little spot with awesome breads, pastries, sandwiches, brunch, and a lovely outdoor patio during the warmer months. Their whole wheat pizza shells are nice and thin. Supposedly, the shells freeze nicely, but we never keep them around long enough to verify that. They come two to a pack and we always make two pizzas at a time and keep the leftovers for lunches. 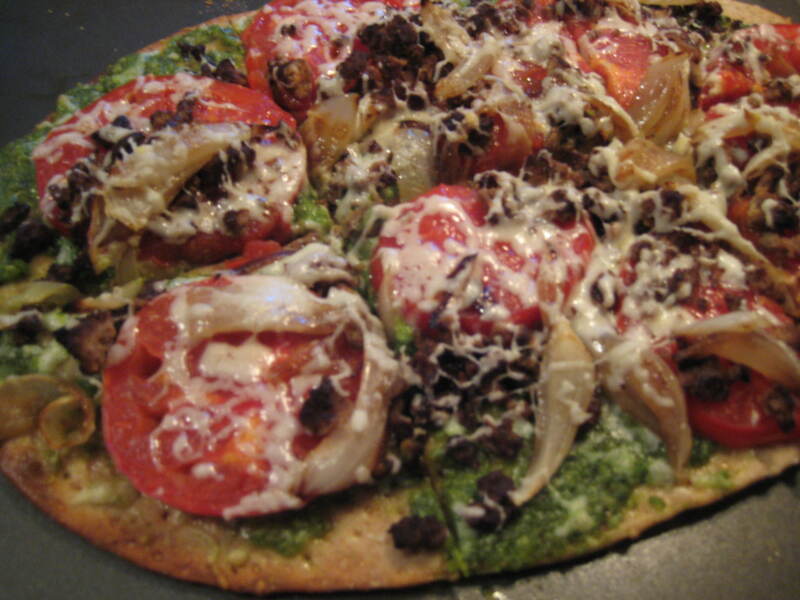 The shells act as a tasty, clean slate for creative toppings. We decided to build our pizza around fresh tomatoes, since we had just received some beautiful homegrown ones from a friend of Heather’s. She was overflowing with them and shared her generous bounty with us! Hooray! 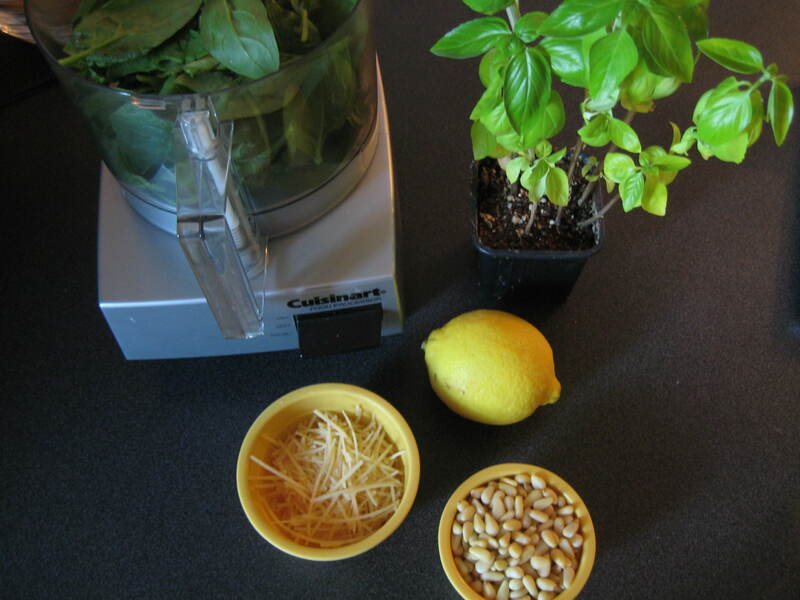 From there, a pesto just seemed like most natural complement. 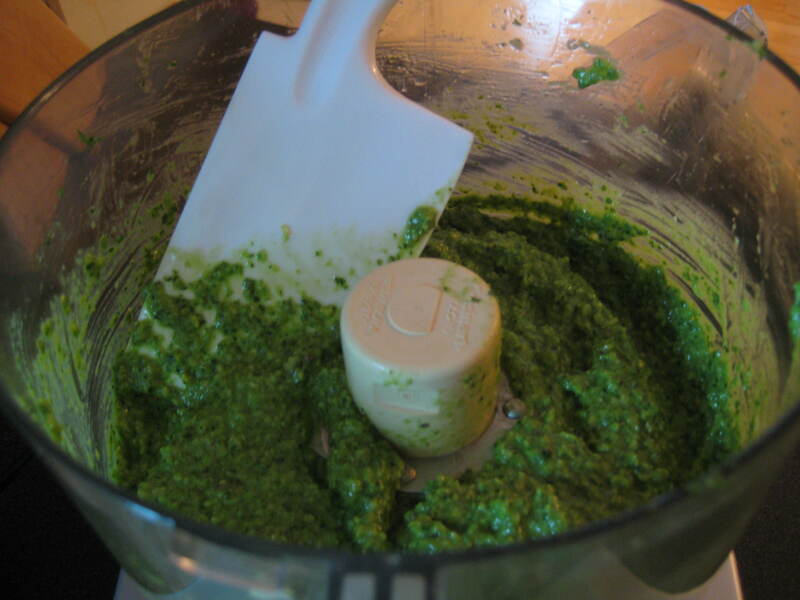 I decided to go with a spinach-basil pesto, since our little indoor basil plant can only yield so much. From there, I simply sautéed some onions and cooked up some Quorn veggie crumbles for a little protein boost. 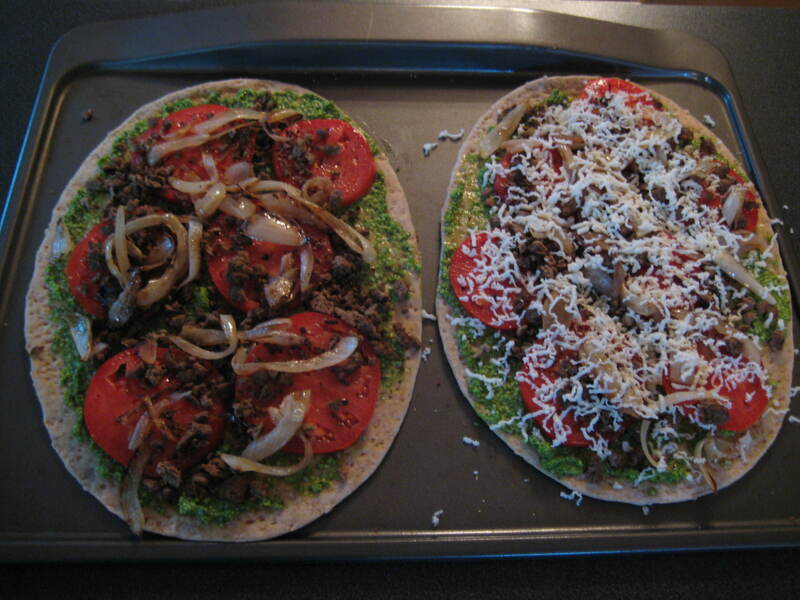 I loaded up the shells with pesto, then tomato slices, onions, crumbles, and freshly grated mozzarella cheese. Voila! I will never come close to replicating Fed’s pizza. Thank goodness I’m home often and usually stock up on their frozen pizzas. (They also ship their pies across the country on dry ice!) But our version was pretty darn delicious. 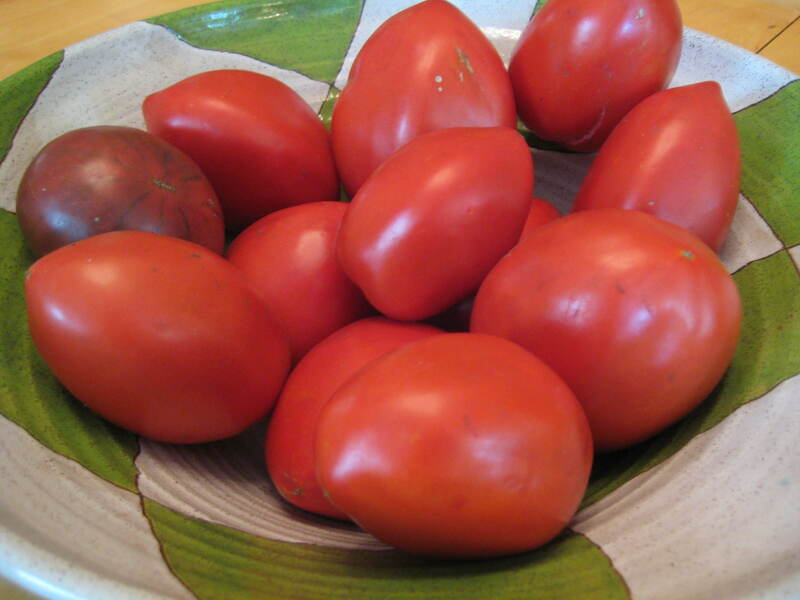 Hop back over later this week to see what we did with the rest of those gorgeous tomatoes!